These subs are easy and quick to make, and hearty! 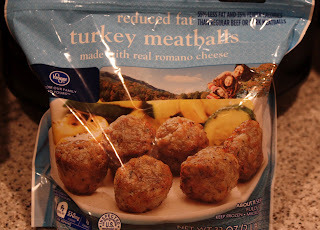 Bake meatballs as directed on package, drain on paper towels. Keep oven warm. 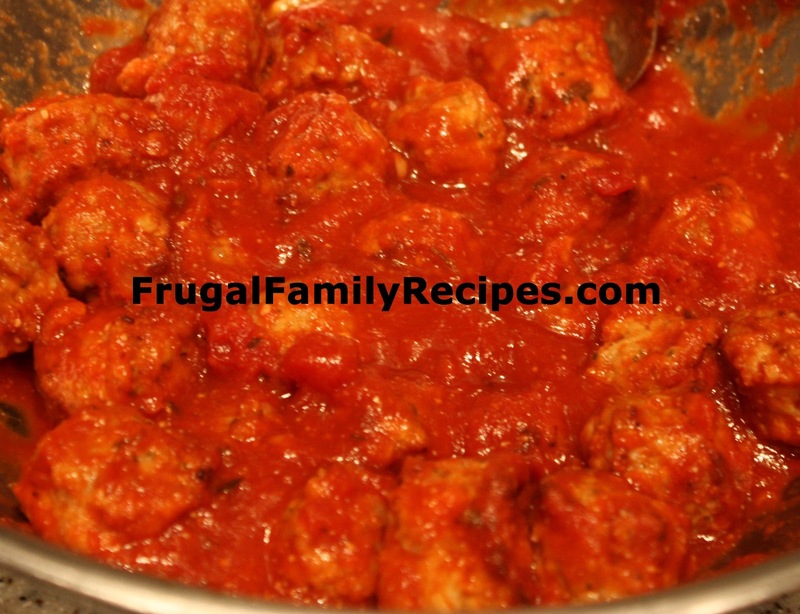 Place meatballs in large bowl, cover with heated sauce. Slice sub rolls on one side, without cutting all the way through. 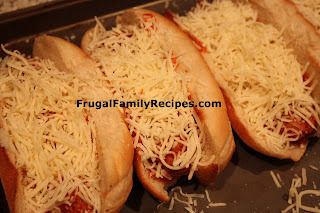 Place sliced rolls on baking sheet, then add 4-5 meatballs to each sub. Cover with as much extra sauce as desired (at least a few spoonfuls), then top with cheese. 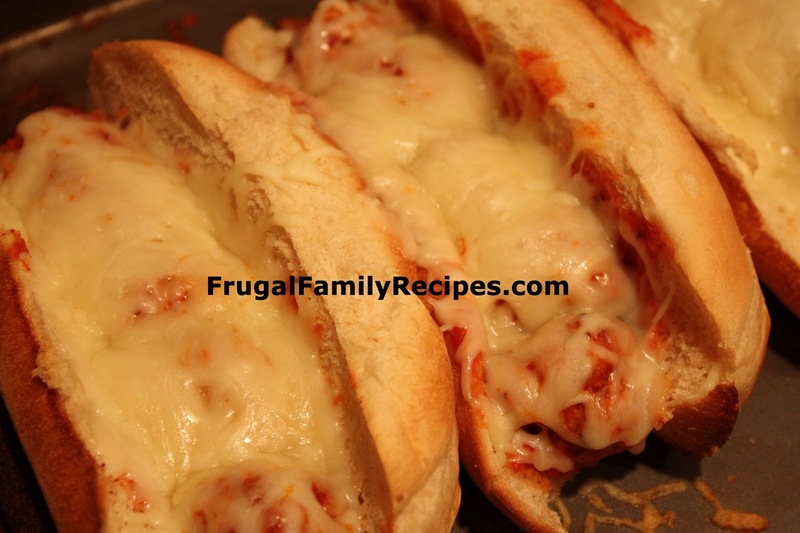 Return to warm oven until cheese is melted and bread is lightly toasted.